Not only is Direktpoint fully responsible for the graphics design but also for launching the website itself using CMS Drupal technology. 5150 Warsaw Triathlon (1,5 km/40 km/10 km) took place on 12 June 2016 and was run through the enchanting surroundings of Zegrzyński Reservoir all the way to the finish line on Senatorska street in Warsaw, opposite the Grand Theater. 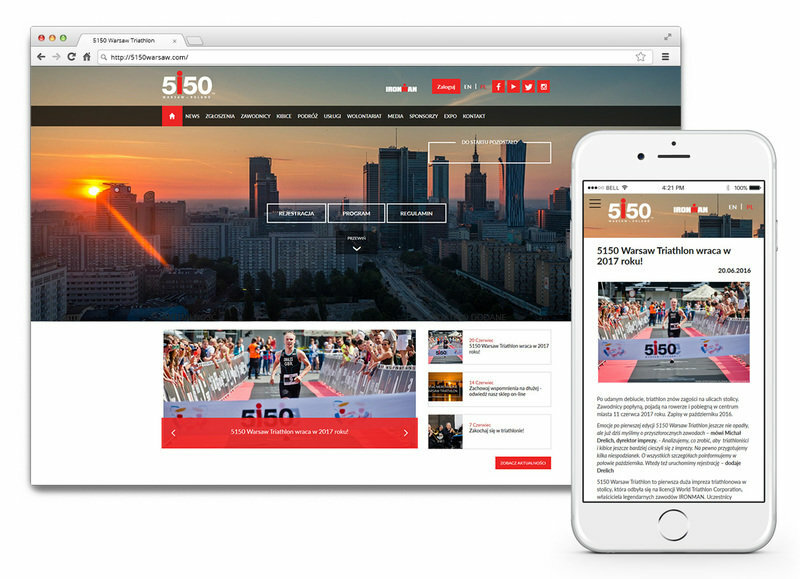 Main website of 5150 Warsaw Triathlon and mobile version of the site. See the details on the website, register and take part in the triathlon! Ready, steady … go!